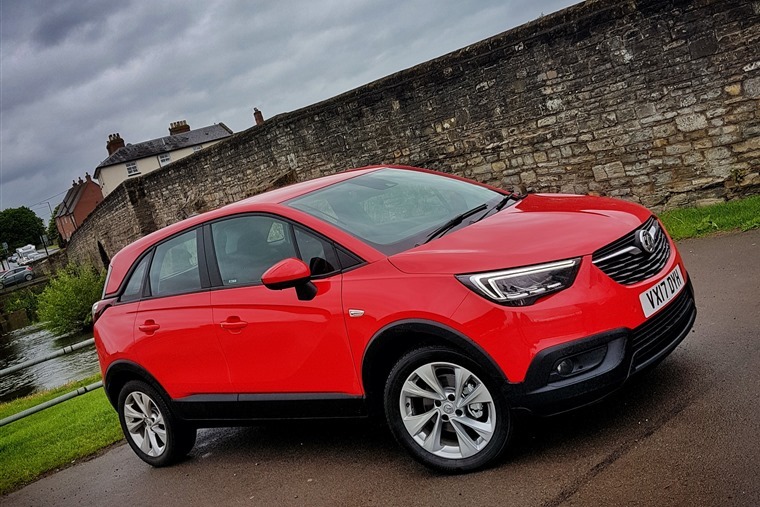 Offering value and practicality over attention grabbing design, the Crossland X will have its fans but it will be hard to match the popularity of the larger Mokka X.
Bereft of much in the way of SUVs in their range, Vauxhall recently introduced the Crossland X to piggyback onto the success Mokka X. It slots in just below the hugely popular crossover, but at just 6cm shorter it’s not entirely clear what the point is. 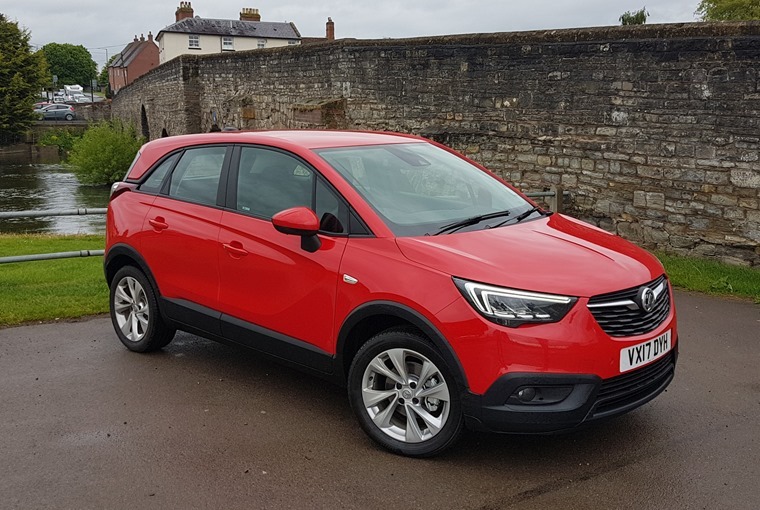 Vauxhall will tell you that the Mokka X remains a fashion-led piece, something with strong road presence and a perceived premium position. The Crossland X is the more sensible sibling, offering value and practicality over attention grabbing design. It’s the Viva to the Adam, the Baleno to the Swift. Given the compact dimensions, there’s more space inside than you might imagine. Despite being the grown-up-if-slightly-shrunken option, the X at the end of the name is misleading. There’s no four-wheel drive option, so there’s no possibility of taking the Crossland off-road and then making your way back on-road later. At least on-road behaviour is pretty good, if entirely unexciting. There’s a softness to the suspension that smooths the bumps nicely, making it a far more comfortable cruiser than many of its overtly more sporting rivals, especially over longer undulations you'd find on a motorway. It’s not quite as cosseting as something like the Citroen C4 Cactus, but it’s not far off. There’s plenty of grip, and decent body control, although the vague steering leaves you lacking in confidence should you find a twisty road. It won’t let you down, at least not at more conventional speeds, but it’s never going to encourage you to try and emulate Colin McRae. The cabin is laid out quite nicely too, following Vauxhall’s current design trend but with a fair bit of Peugeot parts thrown in for good measure. In town the controls are light, easy and direct, although the suspension doesn’t quite cope as well with the endless potholes and surface cracks we find in urban areas, with the Crossland fidgeting away endlessly while also allowing deep holes to crash through and upset the calm in the cabin. Given the compact dimensions, there’s more space inside than you might imagine. Headroom is plentiful for all, and legroom in the rear is acceptable. As ever with these cars, three adults in the back would be considered punishment but it’s spacious with just two. The boot is a competitive size and there is an adjustable floor, allowing for a choice between more storage space or a flatter floor. The cabin is laid out quite nicely too, following Vauxhall’s current design trend but with a fair bit of Peugeot parts thrown in for good measure. 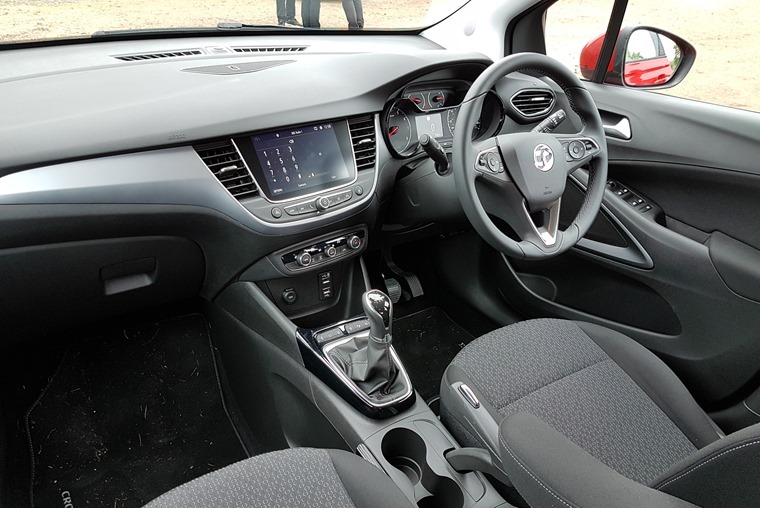 The seven-inch infotainment system is Vauxhall’s own, and includes a DAB radio and smartphone mirroring. Low-rev flexibility is impressive, but you do have to wait a second or two while the turbo spins up and provides any boost. 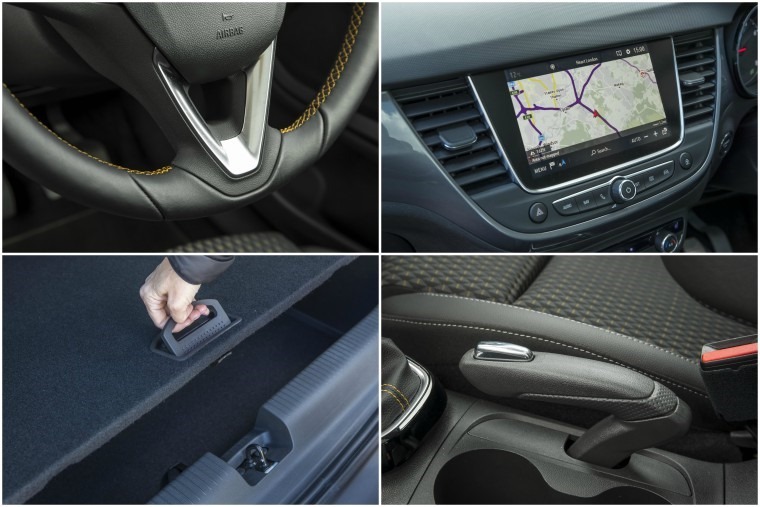 All models get a good smattering of safety gear, with lane departure warning, traffic sign recognition, speed limiter and Vauxhall’s OnStar system - that’s a 4G wi-fi hotspot your passengers can connect to, but on the Crossland you’ll need to provide your own data package. There’s a 1.2-litre three-cylinder engine up front, borrowed from Peugeot. Technically much of the chassis and suspension is borrowed from the French manufacturer too, with the Crossland sharing an awful lot with the Peugeot 2008. Fortunately the engine is reasonably strong, with 110 horses to power it forward. It’s not the most refined or economical engine you’ll ever find, but equally it’s nowhere near the worst of its kind. Low-rev flexibility is impressive, but you do have to wait a second or two while the turbo spins up and provides any boost. The Crossland X is the more sensible sibling, offering value and practicality over attention grabbing design. Economy of 58.9mpg is promised, but that’s rather optimistic. There's both a lower and higher-powered version of the petrol engine available, but the 1.6-litre diesel options will be the ones buyers need for frugality. Depreciation is, by the class standards, pretty good, with 40% value retained after three years, which should translate into competitive leasing deals. That sums up the Crossland X. It’s competitive but fails to excel in any area. 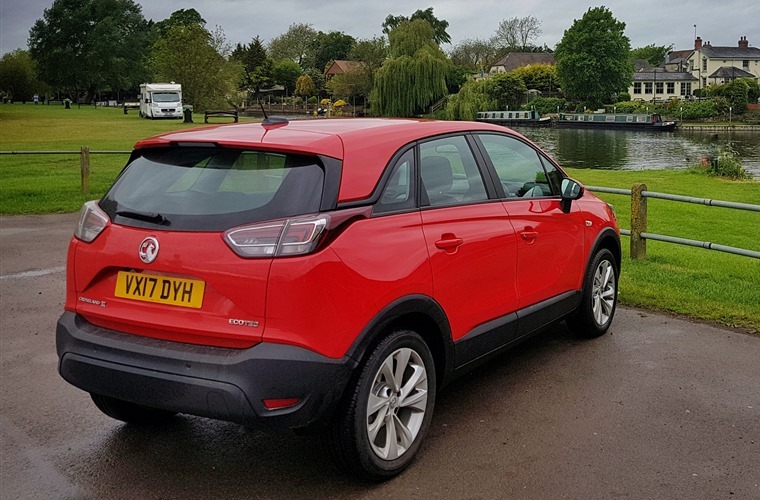 An Astra is realistically a more practical proposition, but if it’s a compact SUV you’re after then the likes of the Skoda Karoq, Mazda CX-3 and Hyundai Kona knock the Vauxhall into the automotive equivalent of a cocked hat. Lacks the attention grabbing design of the Mokka X, a much more palatable look to some. The cabin is laid out quite nicely, with a seven-inch infotainment system which includes a DAB radio and smartphone mirroring. There’s plenty of grip, and decent body control, although the vague steering leaves you lacking in confidence. In town the controls are light, easy and direct although the suspension proves an issue. Given the compact dimensions, there’s more space inside than you might imagine. The boot is a competitive size and there is an adjustable floor, allowing for a choice between more storage space or a flatter floor. Economy of 58.9mpg is promised by the 1.2 petrol model tested. The 1.6-litre diesel options will be the ones you’d need for frugality.